As I mentioned previously, I had new designs for the cover tag box all ready to go, but they never saw light. I showed the Stalker one that had a background, but that didn’t get used. I figured it was too busy, so I drew new versions more like the Scarlett one that graced the cover for years. 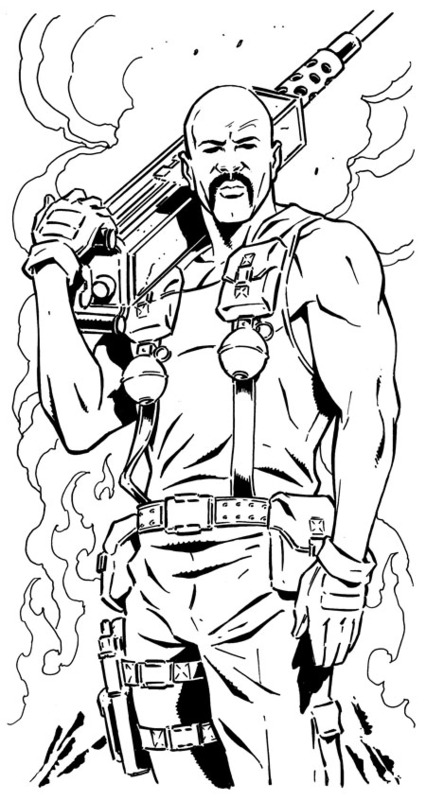 This is the Roadblock one, which I had inked, and it was just waiting on color when IDW killed the boxes. If I can find the Spirit sketch, I’ll post that one too. It never moved passed the pencil phase.